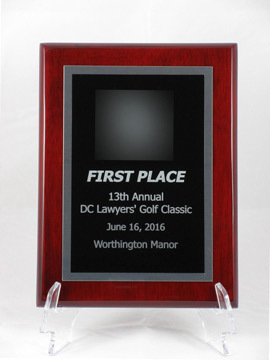 Our elegant plaques are fashioned in-house from solid walnut or alder wood, rosewood or black piano-finished wood, as well as black or walnut simulated wood boards. 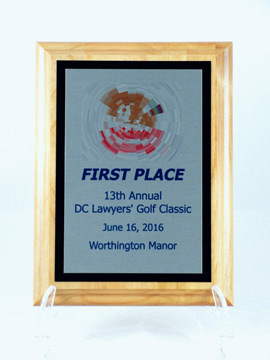 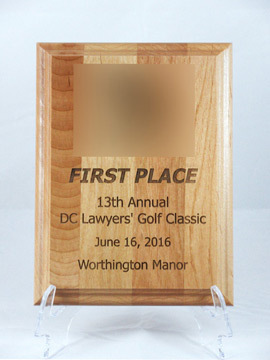 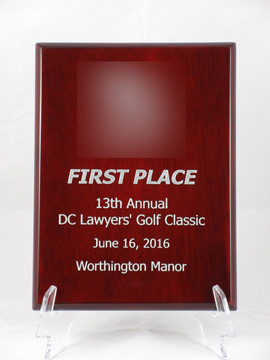 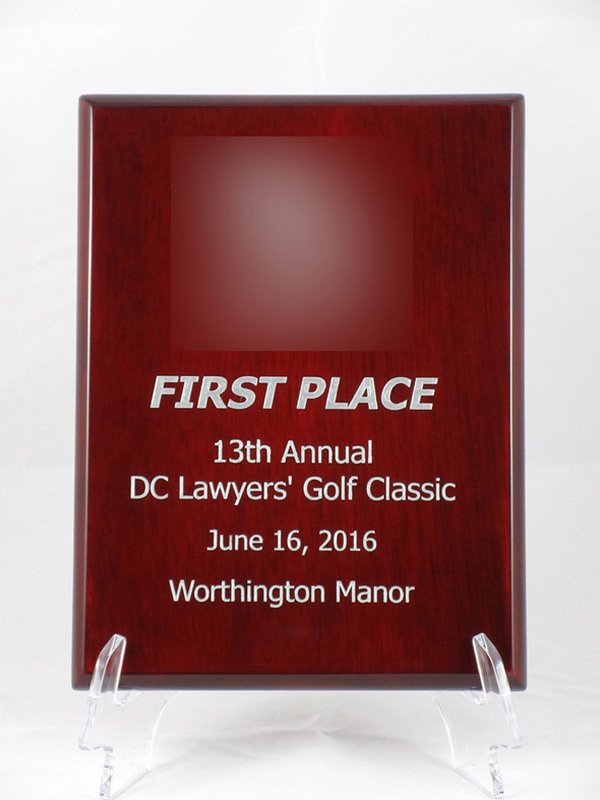 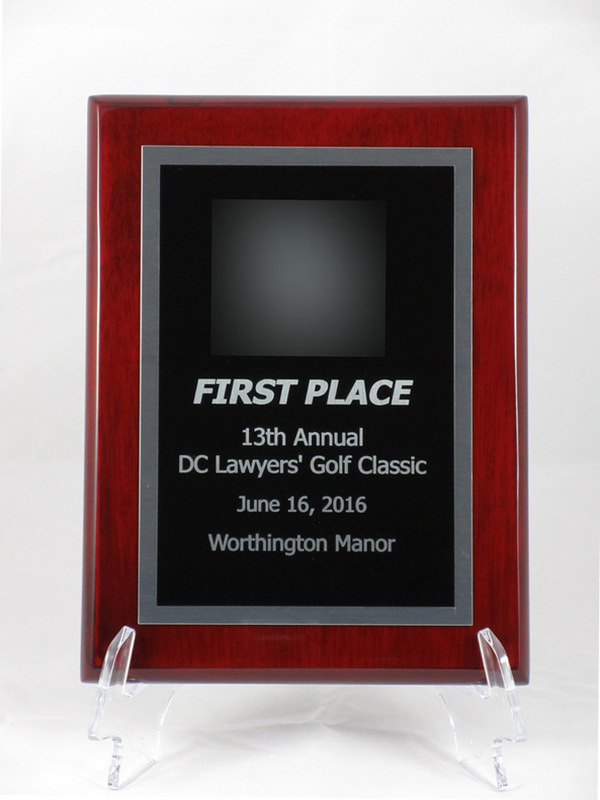 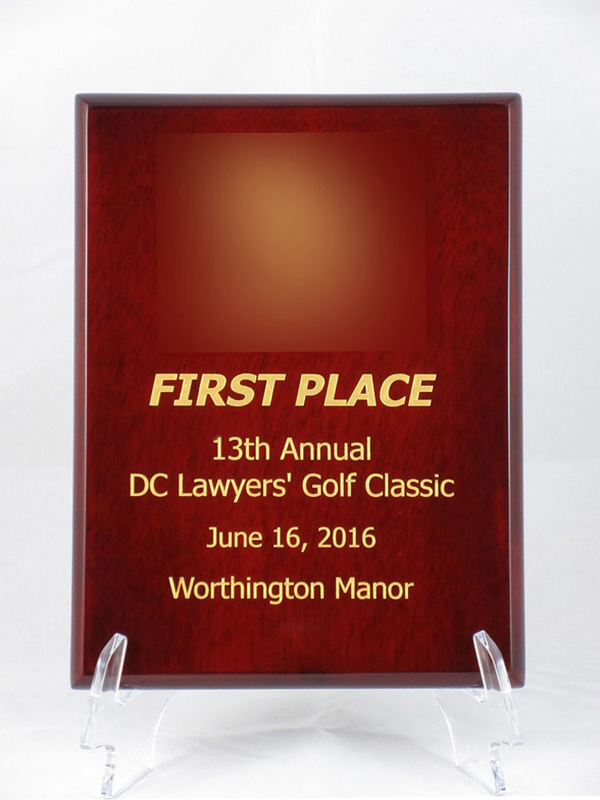 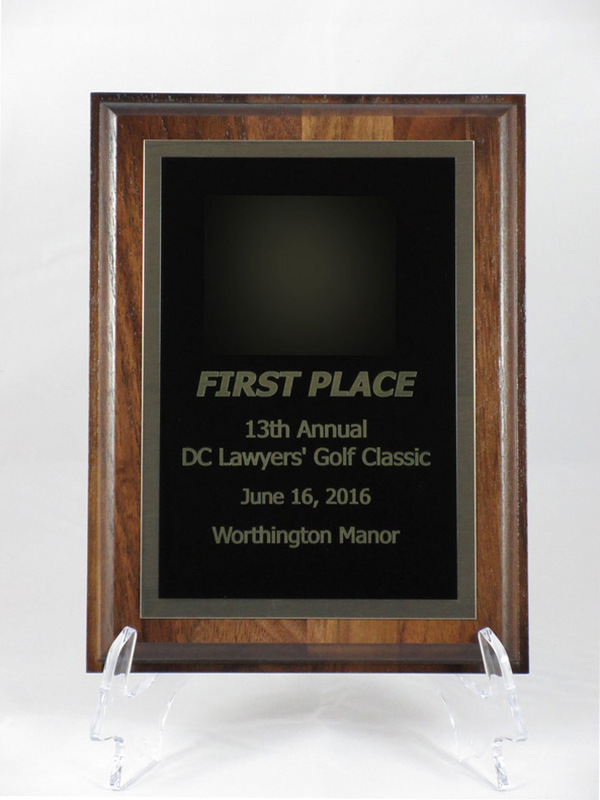 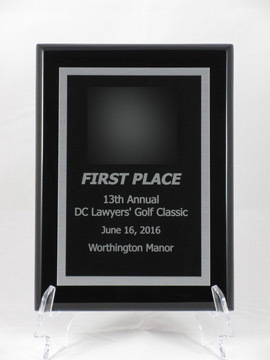 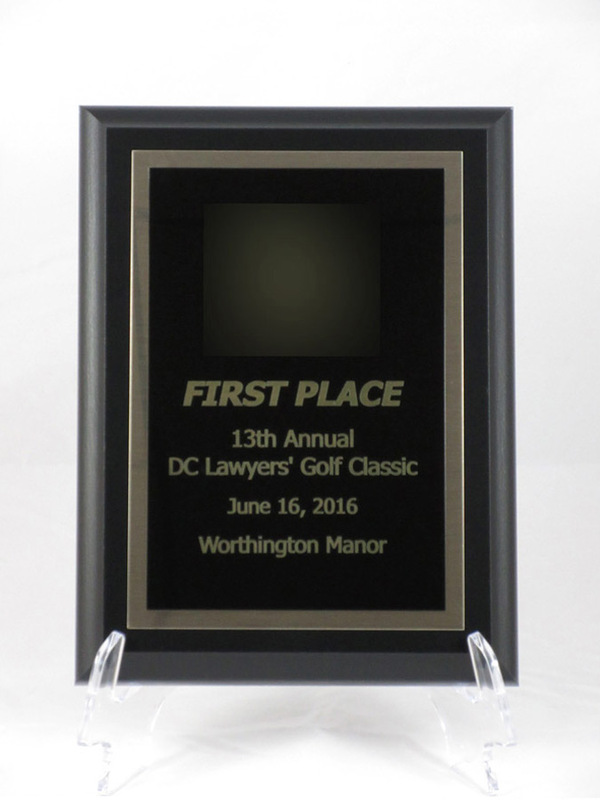 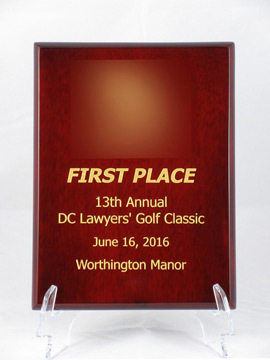 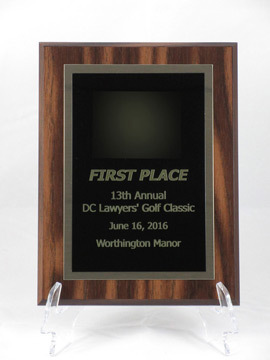 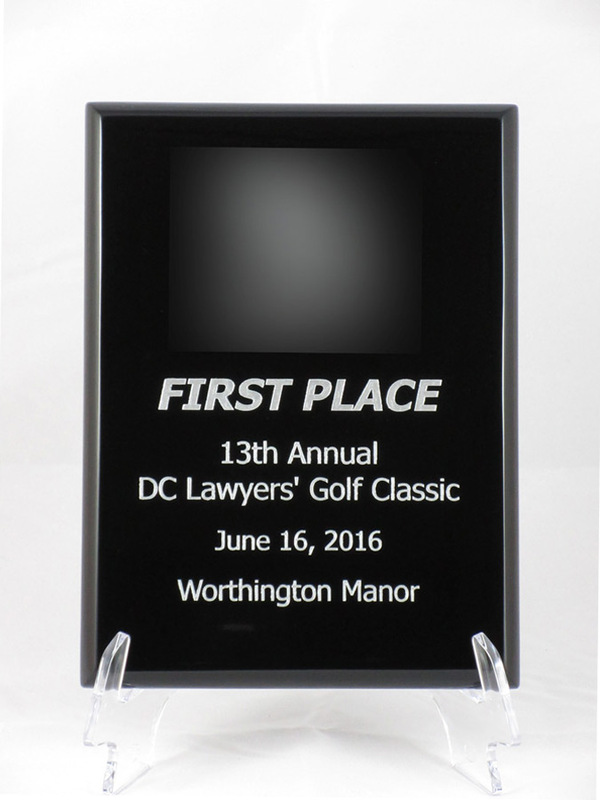 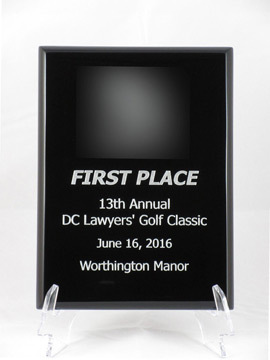 Engraved plates (brass, aluminum, and nickel) are commonly mounted onto plaque boards and can feature any color combination, even full color with our dye sublimation process. Our in-house plaques can be made to order within a quick turnaround time. The possibilities are endless, so please contact us to discuss your particular needs. 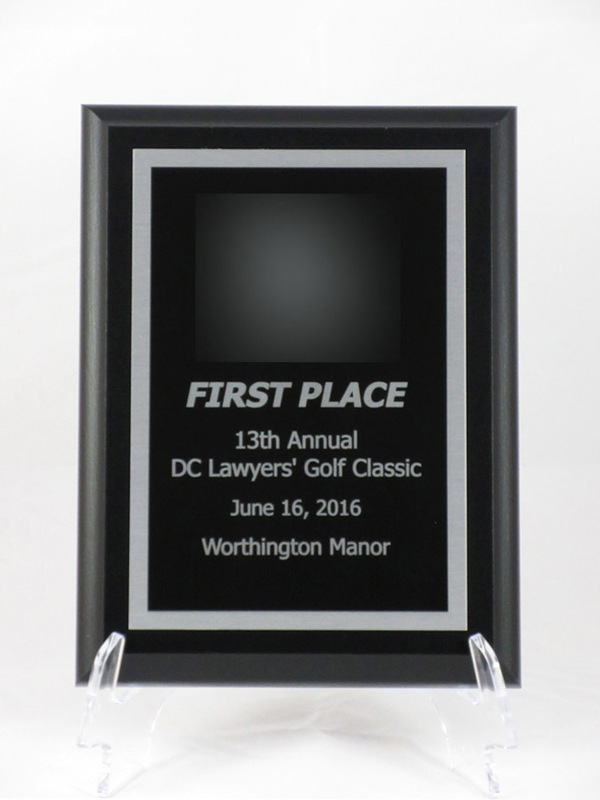 For additional engraving cost information, click here. 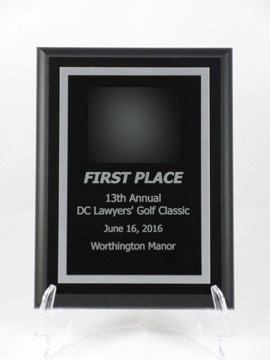 *Plaque boards and plate color combinations are interchangeable except direct engrave plaques.